Discover the beauty of this coastal paradise! On the west coast of Vancouver Island, located in the Clayoquot Sound UNESCO Biosphere Reserve, Tofino typifies the majesty of the Pacific Northwest, boasting the natural beauty of its mile long beaches, wildlife, and forests accentuated by a tapestry of vibrant communities. Tofino, British Columbia is home to a thriving local food and live music scene that produces some of the most innovative and exciting West Coast cuisine in existence. The area also inspires many renowned artists. makers and artisans, who honor the magic of their home by bringing it into the physical realm. Add to that a climate that summons outdoor enthusiasts from all corners of the earth and it is clear that Tofino is poised to please. We always recommend staying at least two nights, but you can get a little taste of Tofino even if you make a daytrip from Parksville and Qualicum Beach, Port Alberni, Nanaimo, or even Victoria if you're a fan of long, leisurely, beautiful drives. Daily round trip flights are also available to and from Vancouver year-round. Welcoming in every sense of the word, Tofino is ready to greet you. 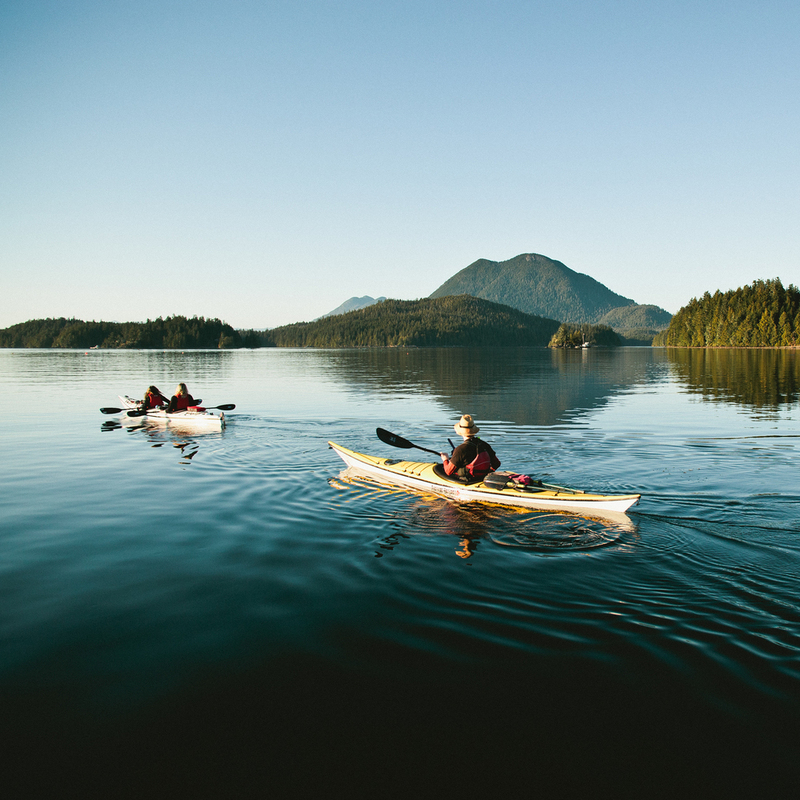 Offering idyllic beauty and unaffected hospitality, Tofino is a feat of art, adventure, culture and cuisine--an experience that can never be outlived. Thrilling physical spectacles, coupled with a rich community heritage make Tofino the ultimate destination for any traveller: whether you spend your day absorbing First Nations traditions, enjoying Hot Springs Cove in Maquinna Marine Provincial Park, daring body and soul to conquer the many exciting challenges presented by Pacific Rim National Park Reserve, or engulfing your palate in the vast sea of local flavours, there truly is something for everyone in Tofino. DOn't miss out on this extraordinary paradise! Jamie's offers tours on state of the art high-speed, exhilarating zodiac-style vessels (also known as Rigid-hulled inflatable boats) for those who crave adventure, or find comfort and relax aboard the west coast's largest cruiser style whale watching vessels, in Tofino and Ucluelet. RedCan Gourmet is a professional open concept commercial kitchen. Interact with chefs as they create inspired west coast dishes. Check out what's happening in the Tofino Surf! Tofino, British Columbia is home to an exciting local food scene that produces some of the most innovative and exciting West Coast cuisine in existence. This website site lets you discover all things Tofino! The Ice House is a fantastic waterfront oyster bar. This is a must visit place in Tofino. InnChanter is a heritage vessel built in the 1920′s and refitted to take you back to the style and class of the era of her creation. Cleanline Sportfishing offers both saltwater and freshwater fishing experiences. Premium charters are fully guided and outfitted and experiences can be fully customized for all ages and ability. Tofino Fish Guides Ltd. offers premium saltwater charters and unique freshwater fishing experiences in the beautiful waters around Tofino, BC.